CAPT Jeanean Willis Marsh was selected by Surgeon General Vivek Murthy in March 2016 to serve as the Chief Professional Officer (CPO) for the Health Services Officer (HSO) category to advise the Office of the Surgeon General and the Department of Health and Human Services on the recruitment, retention, and professional development of over 1,200 officers in the HSO category. CAPT Willis Marsh is the Director of the Office of Program Support (OPS) in the HIV/AIDS Bureau (HAB), Health Resources and Services Administration. With a budget of over $2.3 billion, HAB provides primary care services for over 50% of the people in the US living with HIV/AIDS through the Ryan White HIV/AIDS Program. OPS supports organizational operations by leading the bureau’s internal and external communications, IT investments, grants policy, organizational development and training, and other special projects. Prior to joining HAB in 2017, CAPT Willis Marsh led the Division of the National Health Service Corps (NHSC) in the Bureau of Health Workforce, Health Resources and Services Administration (HRSA). The National Health Service Corps supports over 9600 primary health care professionals committed to practicing in underserved communities at over 15,000 sites across the United States and its territories by providing scholarship and loan repayment in exchange for their service. CAPT Willis Marsh began her career in the United States Public Health Service in 2000 after serving as an Assistant Professor at Temple University’s School of Podiatric Medicine. Upon completion of her residency program in 1991, she became one of two Podiatrist in the country fellowship trained to conduct electromyography and nerve conduction studies. 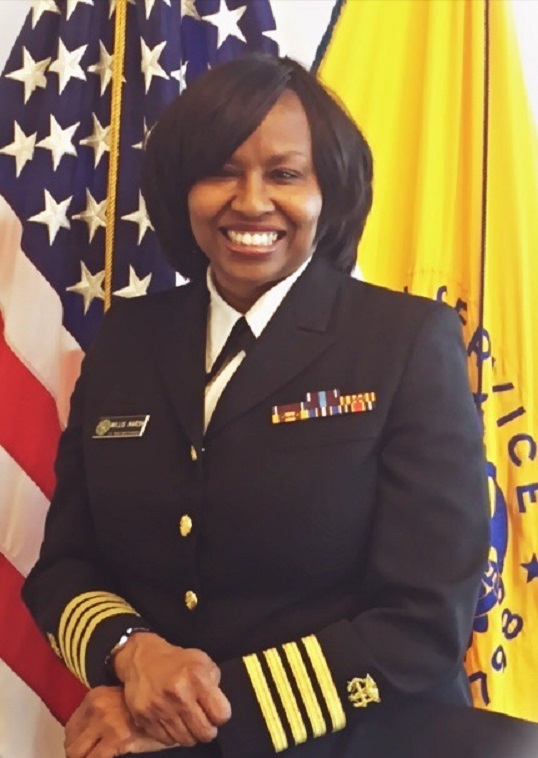 CAPT Willis Marsh’s first assignment was in HRSA’s Office of Minority Health where she served as the lead for the agency’s Cultural Competence and Native American and Tribal Initiatives. In addition, she co-authored HRSA’s Health Disparities Strategic Plan that was published in 2000. After receiving her Bachelor of Science in Biology from the University of Maryland-Eastern Shore, CAPT Willis Marsh earned her Doctor of Podiatric Medicine from the Pennsylvania College of Podiatric Medicine. She completed residency training at Cooper Medical Center in Camden, New Jersey and fellowship training at the University of Pennsylvania in Philadelphia, Pennsylvania.